I first heard Green Day when I was crashed on a friend's floor just after they'd got married. All I wanted was for the long haired geezer with the metaller T-shirt on to "turn that f***ing noise off!" So imagine my surprise when the subtle, haunting almost ballad, Boulevard of Broken Dreams turned out to be sung by the same lot. The lyrics of alienation and isolation might be a little cliched but the raspy vocals cutting cleanly through the acoustic guitars are anything but. More pop-rock than punk it may be, but this is still a classic. 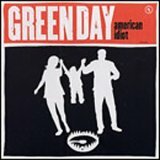 A definite return to form for the northern Californian Green Day boys, with a song more along the lines of their "Kerplunk" and "Dookie" releases. The lyrical content hits wonderfully at the atypical mid western American and seems to capture the mood of the world towards the "American Idiot" that insisted on voting in Bush. This song is the opening and title track of their newest release that sets the whole ball rolling for and excellent album. For all you MTV heads out there the song is also ably backed by a fantastic video, where Tre beats his drums somewhat akin to Animal the Muppet and Mike and Billy Joe strut their stuff with an excellent swagger. This was the moment that Mike Skinner finally made the jump from critically acclaimed original pirate material to bonafide pop star. You can't help listening and responding emotionally to the song's awkward break-up conversation, particularly if you can remember being on either side of the moment. Until you put yourself back there, 'Dry Your Eyes' can seem twee and it can take time to get past the clichés in the chorus; but don't underestimate how good a reporter of real human conversation, as well as the human condition, Skinner is. Hell, if all chavs were this eloquent then fireworks sellers would have some enchanting tête-à-têtes with their clientele, teenage pregnancy rates would be down and the pavement outside of your corner shop would be known as 'the new Bloomsbury'. This review is o-o-over. 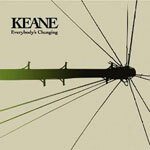 There's no doubt that Coldplay made it easier for Keane to emerge, choirboy vocals, energetic piano and melodic tunes. "Everybody's Changing" rattles along without ever coming off the rails but still getting you to the finish in comfort. Shame about the uninspired video though. This is the song of a man with something to prove. 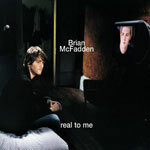 In stepping out from the boy-band shadows, Brian McFadden - with the help of Guy Chambers (well, it worked for Robbie) - is trying to assert his authenticity, not only as a proper singer, but as a proper Irishman. He pulls off the difficult trick of celebrating his Irish heritage and distancing himself from it at the same time, all wrapped up in a catchy, grown-up pop-song with a serious message to boot (organised religion breeds intolerance and provincialism). Whether he'll prove himself as a solo singer only time will tell, but for the moment he's flying without Westlife. At the beginning of 2004 people were starting to talk about Britney being finished. She'd been reduced bawling her eyes out on talk shows, getting married for the weekend, and snogging Madonna, all apparently to get back at Justin. Her single with Madge was one of the most disappointing collaborations in the history of pop. Britney looked all washed up. A disaster area. Then she released this. This slice of pop genius, easily her best single since 'Baby One More Time', with a video of such high octane sexiness, it blew all the memories of tear-stained wimpy Britney into the distant past. One of the first singles to sound like it was made for the 21st Century. Totally infectious, utterly irresistable, completely unforgettable. Toxic is simply one of the best pop songs ever made. Definitely one of the songs of 2004. And not just because of the artist. From the minute it starts with the sweeping piano right through to the very end it's almost a bit of a roller coaster song. Brian's voice has gotten better over the years and this was the perfect song to begin his solo career with as well as showcase his voice. "Real To Me" truly has some inspirational lyrics about wanting to spend time with those who matter, it's fair to say it's a feeling all of us go through at some point in our lives. Okay, so most of us won't be able to identify with the showbiz side of things but everything else rings true. 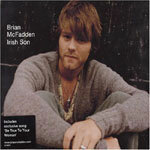 It rightfully got it's number one in many countries and was definitely up there as some of McFadden's better work. Awesome song. Awesome gut. 2 thumbs up here Brian! Ooh, this was close. (He's referring to what were his preferences above this one - Jason M). This just lost out on the 'played too often' factor but it still sounds brilliant. You just know that, despite having had other fairly big hits already, this is the only one of their songs that will be played in 5 or 10 years time. A bit like 'Sit Down' by James, only this IS actually their best song. 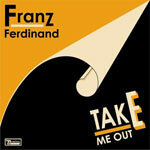 There have been a good many stratospheric rises to fame in 2004, but none quite so as Franz Ferdinand. And you have to go back to the end of 2003 to see the lighting of the blue touchpaper. So, amidst lots of hoo-hah about The Darkness vs that Tears For Fears song done in depressing style that December, came frequent spins of a song that often had the first 50 seconds omitted, because it didn't follow the stomping anthem that it leads into (note to radio stations - play ALL the song please). From that moment on, guitar based-indie was put back on the map (and let's not forget, this is on indie label Domino records), with its batteries fully recharged and sights firmly set on the playlists of radio stations across the country. For this and the whole electrifying album that accompanies it, Alex Kapranos and co, I salute you. It had to happen sooner or later! After 17 [not including those darn virtual thingies] releases, 12 UK number ones, 34 million album sales, 2004 proved to be the year that Westlife (finally) reached the heady heights of Number 1 in the Top50 chart! They're also one of the few acts to appear in every Top 50 so far. Full of records this lot! 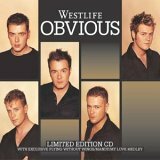 The song itself, "Obvious" is one of their better releases, not as schmaltzy or as slow as some of the others which can only be a good thing; it was also special for the fans as it was the last single Bryan sang on before casting them aside to "spend time with his family", and maybe that's why it's beaten all the previous assaults by the Irish lads to the top of the proverbial tree. Westlife losing popularity? "Pah," I say!